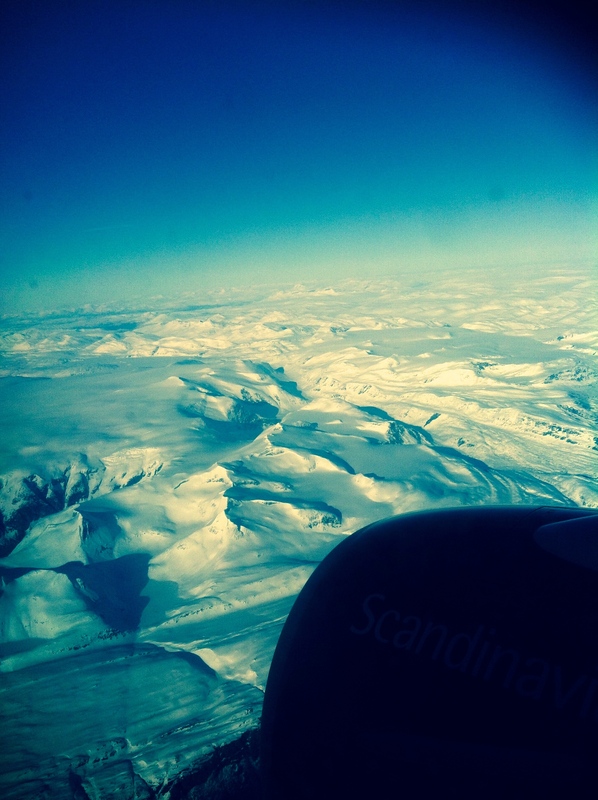 “Are you able to work tomorrow?’ Terje asked, looking over his shoulder as he hauled my huge brown bag from the conveyer belt at Leknes Airport. It was the first night of what would be my second summer working at the Lofotr Viking Museum in Borg, Northern Norway and no sooner had my bags touched the ground, did the excitement begin. “Yes, of course!” I replied, assuming it had something to do with the Museum’s replica Viking Longship. Terje Boe, who’s height tends to strain the necks of those who share a similar ‘Irish’ frame with myself, takes care of the museum’s medieval farm and is also skipper of the Museum’s Viking longship. He handed me the lighter of my two bags and as as we left the airport he gestured to where his truck was parked outside. “The ship” he continued as we walked, “She is in Ballstad. Jared is coming down with me tomorrow in the morning, we need to prepare her for the water”. “I’ve had my nose in books all year” I said, “I’m ready to get to work”. How could I say no? A backdrop of white mountains and green pinewood forests passed my window as we drove along the winding country road from Leknes to Borg; the light of a low hanging sun bouncing off the occasional islet dotted lake. While over a pockmarked road in the distance, the museum slowly crept into view. The first thing that catches the eye, built on the top of a grassy earthen plateaux by the main road is the reconstructed Chieftain’s longhouse. A long wooden structure, with a roof that brings to mind the bulging under belly of a ship. Tipped either end with dragon’s heads and tiled with hand carved scale-like wooden slates, it stands out magnificently amid the boggy brown fields and jagged snow tipped mountain peaks; dominating the small red and blue Norwegian houses scattered around it. Over eighty-three meters in length, the original longhouse excavated in the 1980’s was the longest ever found from the early Viking Age. And now, only thirty meters away from the modern reconstruction, the outline of the original structure can still be seen; its walls now a mere oval of grassy bumps, a few postholes where the supporting beams once stood and a thick grassy shrub where the central hearth used to be. Though having spent every day last year working in the reconstructed building, I often still find it difficult to imagine what it was really like to sit around that fire where generations once past, overlapping like fresh firewood piled onto the embers of the last. During my first summer here I built a bow maker’s workshop in the back of the longhouse. Here, just as I did last year I will spend the next four months dressed as a Viking, making bows and arrows and talking to visitors form all over the world about archery, experimental archaeology and woodworking in the past. It was always a concern in the back of my mind what I would do after my MA. But as September looms closer and with it the start of my PhD, I could not imagine a more perfect job while I wait. I get to chop and shoot at things all summer and everyday, sail and ride horses, talk to people about my job and what I love to do. And, with a staff of like minded people gifted in all imaginable areas of craft from wood carving, leather working and blacksmithing, I get to spend my time learning new skills as well as honing old ones in the heart of an ancient atmosphere by a warm and smouldering fire. It will take a few days to assemble my materials, fix up my workshop and track down those tools that often tend to walk about when no-one is looking. But now that I have the lay of the land and a month’s head start on last year, I can tell this summer may even better and more eventful than the last. We eventually arrived at the white cabin by the foot of the museum’s hill where I would be living for the summer. “Okay!” Terje said, his lip curling behind a rough blonde beard, “See you tomorrow then, we leave from the office at 10:00 am”. The gravel crunched as his truck reversed out of the drive way. 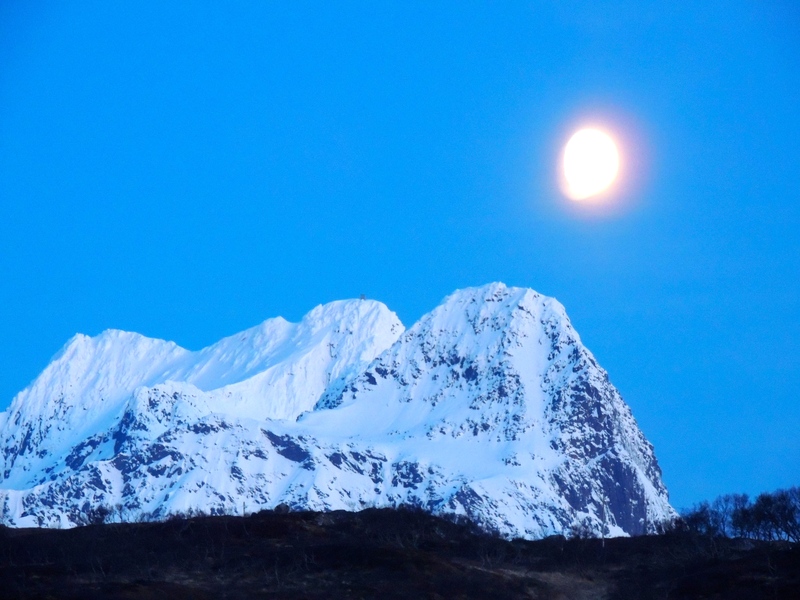 The moon now hung close behind a snowy peak, suspended on a background of crisp light blue. I went inside and rummaged through my bags for a camera. The colour of the sky told me it was about 6:30 in the afternoon, but the yawn that followed reminded me it was more likely closer to 2:00 am. This far above the arctic circle, I guess I won’t be needing the flashlight on my phone again until September. Cover Photo by KJELL OVE STORK, with permission from the Lofotr Viking Museum. I have been hanging around Borg and studying it for some years and I never came to learn about any Viking Age building larger than that. So why just ´Early Viking Age´ ? By the Viking Age Borg I had been extended to around 83 meters. I hope that helps? Ok, I did not realize that you took into consideration the Vendel-area building’s size. It is much clearer now! But, on a side note, if we consider that Borg is the largest Viking-Age building ever found, how does its Vendel counterpart compares with other contemporaries Scandinavian longhouses and buildings? Any resources you’d have about that? If I find anything I will of course let you know…but unfortunately, people are so obsessed with ´Vikings´ (and they always were) that there is much less information on the probably just as cool Vendel Era. In any cases, good luck fletching ! Yes there is that emphasis all right, and I feel that here they had very much the idea of opening this museum in mind while they were excavating. Love the reconstruction of the Viking Long House. Wonderful post thanks. !